Written during the last years of the Weimar Republic, the two novels collected here address the urgent problems of that age. Both Erich Maria Remarque (1898-1970) and Joseph Roth (1894-1939) served in World War I, Remarque with the German army and Roth with the Austrian. Their experiences would help define what Gertrude Stein referred to as the "Lost Generation." All Quiet Written during the last years of the Weimar Republic, the two novels collected here address the urgent problems of that age. 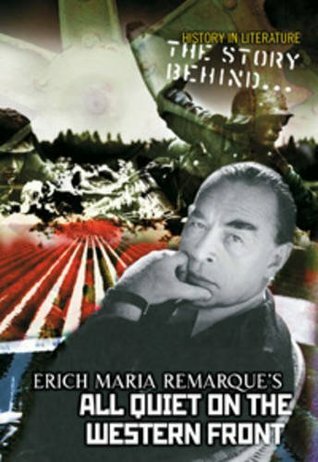 Both Erich Maria Remarque (1898-1970) and Joseph Roth (1894-1939) served in World War I, Remarque with the German army and Roth with the Austrian. Their experiences would help define what Gertrude Stein referred to as the "Lost Generation." All Quiet on the Western Front is the testimony of a soldier who had become aware of how much he, and those of his generation who had survived, had been affected by the trauma of the Great War. For Joseph Roth, World War I had cost him his homeland and turned him into a nomad. Job, in abridged form for The German Library, addresses the theme of Jewish identity in a newly mobilized society.